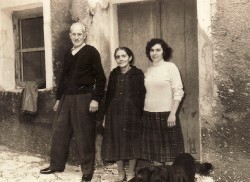 Above: My parents, Giorgos and Panagiota, with my sister, Chrysa. Above Right: My extande family. 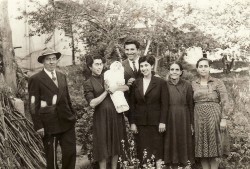 L-R: my mother's uncle, Antonios Christofellis, my sister, Mersini- who is holding her nephew, Emmanuel Karamvasi; my brother-in-law, Mihail Karamvasi, my sister, Chrysa, my mother, Panagiota, and my mother-in-law, Irini Harelli. 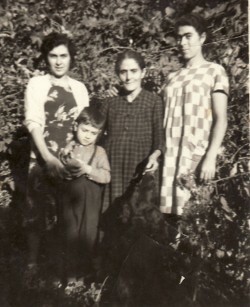 Above: My mother, Panagiota, with my sisters, Chrysa and Mersini, and nephew, Emmanouil. 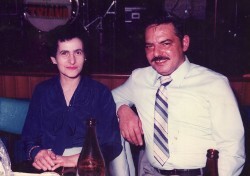 Above Right: With my husband, Kostantinos. 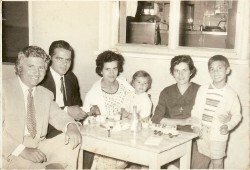 Above: With my children, Panagiota and and Pavlos. 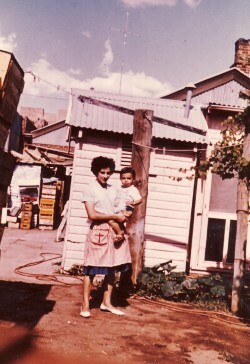 Above Right: At the rear of our shop in Barmedman, New South Wales- with my son, Pavlos. Above: Visiting Greece in 1976. L-R: my brother-in-law, Mihail Karamvasis, my husband, Kostas, myself- holding my daughter, Panagiota, my sister, Chrysa and my son Pavlos. 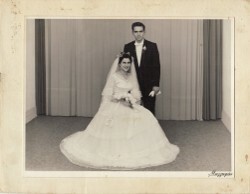 Above Right: With my husband, Kostas.